Home › Current Events › Is Racism Equal-Opportunity? Why are whites held to a different standard than other races when it comes to racism? If people of other races can celebrate their own race, and form organizations based on their race and ethnicity, why can’t whites? If some white people choose to value and stick with their own race, where does that leave them spiritually? Racial issues are a political and social powder keg—as the events currently unfolding in Ferguson, Missouri attest. This is a spiritual blog, not a political one, so I’ll do my best to avoid pure politics. However, I do have to dip into political and social issues to some extent in order to answer these questions. I see no problem spiritually with valuing the characteristics and company of one’s own racial and ethnic group, or with creating groups and organizations based on one’s own race and ethnicity. It becomes a problem, however, when one’s own group is considered better than other racial and ethnic groups to the extent that others are looked down upon in comparison with one’s own group. And it becomes a major problem when people of other racial and ethnic groups are disrespected, mistreated, or targeted due to the perceived superiority of one’s own group. God created the different races for a reason. If we disrespect other races, we are disrespecting God. Why are whites held to a different standard? From a spiritual perspective, racism is racism, no matter who’s doing it. But politically and socially, the effect of racism is magnified if those engaging in it are from the racial group that’s in power. The reason for this is simple: those who have more power can do more damage. Racism is wrong whether it is engaged in by those who have greater power or those who have lesser power. Each person will have to answer for it before the throne of God. But in earthly society, racism by groups in power must be kept in tighter check than racism by those out of power. As the saying goes, with great power comes great responsibility. Whites are the race with the greatest power in the West. And whites often enjoy power and privilege all out of proportion to their numbers even where they are a minority elsewhere in the world. However, in areas of the world or in parts of the socioeconomic ladder where whites aren’t in power, they can be subject to prejudice and racism by the dominant group just as anyone else can. And it is just as wrong. There is a drama playing out in the African nation of Zambia right now, where a white vice president has become acting president upon the death of the former black president. 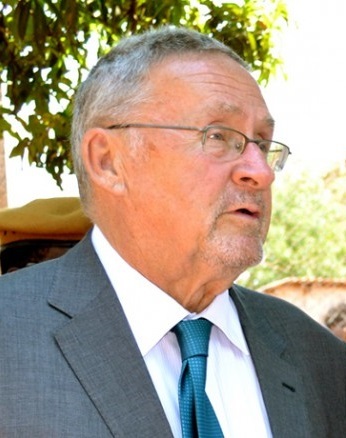 Some Zambians object to Guy Scott being the head of state because he is white. A November 16 editorial in the Zambian Post titled “Namugala’s Shameful Racism” tells the story. Here’s the background: Guy Scott, a white man, was born and raised in Zambia. He rose up through the ranks in Zambian politics, eventually being elected Vice President on September, 20, 2011. 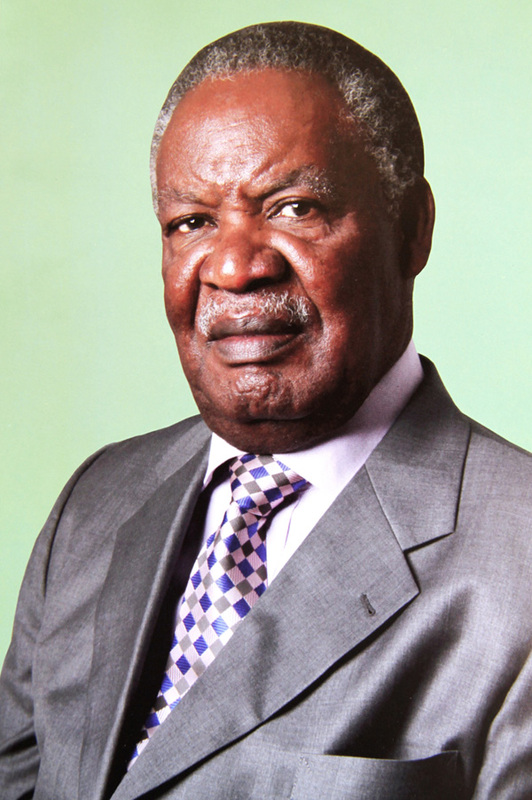 He served under Zambia’s elected president, Michael Sata. When Sata died suddenly on October 28, 2014, Scott became interim president. This is in accordance with Zambia’s constitution, which also requires a new election within 90 days of Sata’s death. Guy Scott is the first white African head of state since 1994, which was the last year of F. W. de Klerk’s presidency of South Africa. 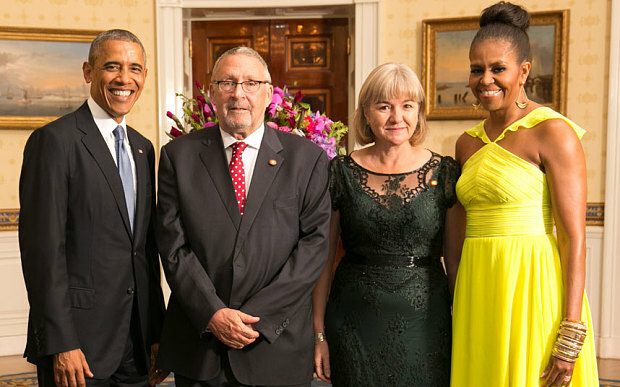 Scott’s interim presidency has sparked a major debate in Zambia. Some people in the black majority are saying that it’s not right for a white to be their president because he’s “not Zambian” (a euphemism for “not black”). Others are rightly calling this attitude racist and impermissible in a civil society—an area in which Zambia is a leader among African nations. We cannot classify any citizen of this country on the basis of his or her colour or place of origin of his or her parents, which is beyond his or her control. The rights of every citizen of this country are defined by the Constitution and not by our desires or by what we feel “shameful” about. Dr. Guy Scott is a full citizen of this country, with the right to be free from racial discrimination based on the colour of his skin and the place of origin of his parents. Guy should be judged by his actions, which is within his control. We should never be part and parcel of that type of society that our heroic freedom fighters defeated, which condemned people wholesale. That is tired thinking completely in conflict with our Christian and revolutionary values. . . . If the son of a Kenyan man can be President of the United States, a country dominated by white people, why shouldn’t Guy be our President? In short, where the roles of power are reversed, the issues of racism and power structures apply just as much to other races as they do to whites in Western society. Back to the spiritual issues involved, based on Emanuel Swedenborg’s teachings and on general fairness and respect for all people as children of God, I believe that it is fine to think of the different races as having different characteristics, and to enjoy the characteristics of one’s own race. What’s not fine is thinking that some races (such as whites) are very valuable, and others are not so valuable. A better way to see it is that the races are different, and the differences are valuable in forming a whole that depends on all different contributions from all different groups of people. It’s like the human body. If the entire body consisted of brains, or of heart, or of hands, it could not survive. The human body is a harmonious whole made up of many parts that are very different from one another. Each one of those parts is necessary for the body to function properly. In God’s eyes, the body of humanity requires many different types of people to reach its full perfection. That’s why it is important for us to value the various races, and to think of all people as unique and worthy children of God, created by God for a purpose. Each race has its own unique contribution to the whole. And together, we form a far stronger and more capable body of humanity than if there were only one race. That’s why God created the different races in the first place: because they are all needed in God’s spiritual economy. ‹ The Afterlife: It’s Not as Different as you Think!